Talal Abu-Ghazaleh, GAID Chairman, wide-ranging interests and contributions defy easy summary, however a glance at his past leadership roles reveals a long and engaging career with business-related international development organizations, and forward-thinking business projects in the Arab world. After beginning his own firm in the early 1970’s he quickly rose to a position of regional and international leadership, serving as a member of the board of the International Auditing Practices Committee (IAPC) of the International Federation of Accountants (1987-1990) and as member of the board of the International Accounting Standards Committee (1988-1990). During the same decade, Abu-Ghazaleh formed the Arab Society of Certified Accountants (ASCA). He later created the Arab Society for Intellectual Property, Arab Knowledge Management Society, Licensing Executives Society – Arab Region, and other regional organizations providing educational and regulatory support to Arab professions. Mr Abu-Ghazaleh’s business empire has developed in parallel with his commitments to Arab socioeconomic development, and the two tracks of development and business and have closely tracked and cross-pollinated each other. 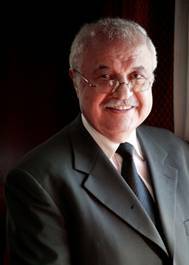 He had created a unique hybrid, a for-profit, private firm with a mission statement to “contribute to the socioeconomic development of the Arab world.” Abu-Ghazaleh also served on the board of the U.N. Global Compact. Leonardo de Arrizabalaga y Prado, PhD Cantab. Alan Bruce is the Director of Universal Learning Systems (USL) – an international consultancy in research, education and innovative learning. ULS operates in Ireland, the Czech Republic, United Kingdom and Finland. 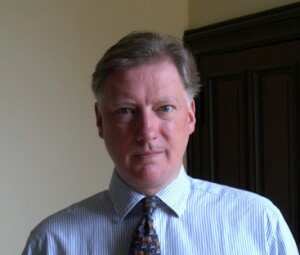 Dr Bruce is a sociologist who has lectured in universities in France, England and Ireland and worked in policy research for the European Commission. In Ireland he was responsible for national training in the disability sector. An Adjunct Professor in Rehabilitation Counseling with the University of Wisconsin-Stout, he also teaches for the National University of Ireland Galway on learning policy, diversity and systematic training. He has published widely on the social impact of disability, labor market policy, innovative education, e-learning, conflict transformation, strategic change and managing diversity. He has provided specific diversity training and development programs for police services in Ireland, Norway and the UK. He is a member of the Scientific Committee of the Creanova Project on innovative learning for the University of the Basque Country. He is a Senior Research Fellow with the University of Edinburgh. He is Academic Coordinator of the Conflicts of Interest program on conflict transformation with Queen’s University Belfast. 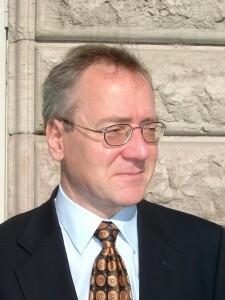 Elected Fellow of the European Distance and E-Learning Network in Naples in 2007, in 2010 he became Vice-President of EDEN. Marcel R.D. Chirwa is the Executive Secretary of the African Peace Support Trainers Association (APSTA based in Nairobi, Kenya). He has years of work experience in the Malawi Defence Force (MDF). His passion for Peace in Africa stems from his experience after what he went through in Malawi. He left the MDF as a Brigadier General in May 2008. 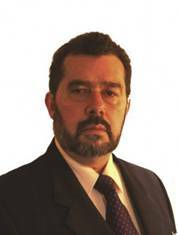 He is a Senior Research Fellow of the Institute of Security Studies (ISS). He holds a Master of Science Degree in Strategic Management and a Diploma in Defence Management. He is a graduate of the United States Army Command and General Staff College. Dr Elletson is the Chairman of the New Security Foundation. He is also a member of the Advisory Committee of eLearning Africa, an annual international conference on technology-assisted learning in Africa, which he helped to establish. Between 2004 and 2010, Franck Galland was Vice President Corporate Security at Suez Environment and strategic adviser to the President on Mediterranean and Middle-Eastern affairs. Between 2001 and 2004 he was attached to the Development Director of Ondeo Services (international activities of Suez-Lyonnaise des Eaux), with the title of project leader. Between 1997 and 2001, as Director of the activities of the service centre at the Miallot&Associés practice (Mazars&Guérard group) specialising in international risk management, FranckGalland accompanied the directorates-general of major groups in emerging markets, including Lyonnaise des Eaux. At the end of 2010, after spending ten years at the Suez group, FranckGalland created Environmental Emergency & Security Services, which is an engineering consultancy, specialised in urban resilience. Environmental Emergency & Security Services teams work hand-in-hand with critical infrastructure management (electricity, water, telecommunications) and large industrial groups providing crisis management and business continuity planning in the event of natural disasters (hurricanes, flooding, earthquakes), industrial accidents or pollution, and terrorism or criminal action. Franck Galland has a degree in international affairs from the EcoleSupérieure de Commerce de Marseille (Euromed Management) and is currently considered as one of the leading European specialists in strategic and geopolitical issues related to water. He is the author of a well-received book, ‘L’eau: géopolitique, enjeu, stratégies’ (Water: geopolitics, challenges, strategies), published by CNRS Editions, in September 2008. 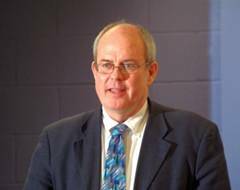 He has also written more than forty analyses on strategic challenges concerning water in reviews on international relations and security. He is a speaker who is regularly invited to defence and security institutes, both in France and abroad, to talk about the problems linked to water resources. These have included l’Institut des Hautes Etudes de la DéfenseNationale in Paris, the Royal United Services Institute in London and the China Institute for International Strategic Studies in Beijing. He is a research fellow at the Fondation pour la RechercheStratégique in Paris and at the Water, Energy and Environment Research Center in Beirut. Franck Galland is a Chevalier of the National Order of Merit and a Chevalier of the Order of Academic Palms. FranckGalland is an officer in the operational reserve and has also served several times in external operations. He has been awarded the Cross of Military Valour, the Combatant Cross and several other French and foreign decorations. He is, for example, a Knight of Merit of the Military Constantinian Order of Saint George. Lieutenant General Andrew Graham CB CBE was Director General of the Defence Academy of the United Kingdom from May 2008 until June 2011. Educated at Eton College and Trinity College, Cambridge, General Graham was commissioned into the Argyll and Sutherland Highlanders in 1975. He was appointed Commanding Officer of his Regiment in 1995 and Commander of 3rd Infantry Brigade in 1999. He went on to be Director Army Resources and Plans in 2001, Deputy Commanding General Multi-National Corps ­ Iraq in early 2004 and Director General Army Training & Recruiting Agency later in 2004. He became the Royal Regiment of Scotland’s second Colonel from 31 March 2007 as well as Director of the Defence Academy of the United Kingdom from 2008. General Graham retired from the British Army in the summer of 2011. Professor of Modern European History at Bradford University. 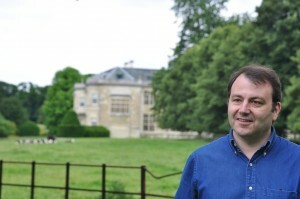 He specialises in modern French and European history, particularly the French Revolution and its aftermath. His most recent book is The Perilous Crown: France between Revolutions (Macmillan 2007), translated into French as Louis-Philippe: Le Prince et le Roi (Editions de Fallois, 2009). His previous book, The Fall of the French Monarchy (Macmillan, 2002) won the Franco-British Society’s Literary Award for 2002 and was short-listed for the Longmans-History Today Prize and the P.E.N. Hessell-Tiltman History Prize. Graduated from the Military University of Technology (Warsaw, 1978). Gen Ratajczak completed postgraduate studies at the European Center for Security Studies in Garmisch-Partenkirchen (Germany, 1995) and studies in the field of strategy, defense policy at the Royal College of Defence Studies (London, 1998). He is a doctor of technical sciences (WAT, 1987). Military service began as an assistant in the Military Technical Academy, where until 1991 he worked as senior assistant and lecturer. In 1991-1992 he served as a military observer in the UN mission in Iraq and Kuwait. After completing this mission, he held many responsible positions in the institutions of the Ministry of Defence: 1992-1996 head of the department był Crisis Response and chief specialist in the Department of International Security, and then in 1996-1997, head of the secretariat of State Secretary of Defence and Director of the Military Department of Foreign Affairs in 1999-2003. Since 2003, Maj Gen Ratajczak served on the Permanent Representation of Poland to Brussels. 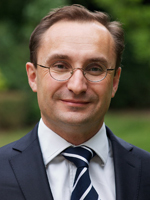 After returning to Poland in September 2006 he was appointed Director of International Cooperation Department of Defence. From January 2007 to June 2009, he served as director of the Military Department of Foreign Affairs. 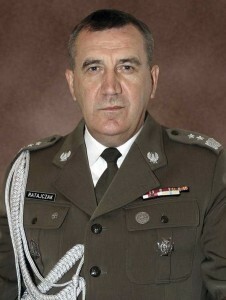 In July 2009 Gen Ratajczakas appointed Rector-Commandant National Defence Academy and in April 2010, became a member of the High Advisory Council of the Partnership for Peace Consortium (PfPC). His term will last until the end of March 2012. Hon. 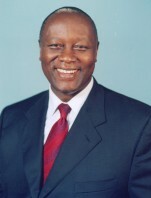 James Rege is a current Member of Parliament of the Republic of Kenya for the Karachuonyo constituency. He chairs the Energy, Information and Communications Committee and is a member of the House Broadcasting, House Liaisons and Budget Committees. He was educated at the West Virginia University and George Washington University, USA, and holds a Master degree of Science in Electrical Engineering. From 1975 to 1993 he worked and studied in the USA where he gained experience in various positions working in the field of engineering. Between 1994 and 2007 he was Director in several telecommunication and engineering related companies in Africa and the USA. From 2004 to 2005 he worked as a Permanent Secretary at the Ministry of Information & Communication. In 2008 he was elected MP for the Karachuonyo Constituency. Group Captain Sagar joined the RAF as an aircraft technician in 1978 and was employed servicing Vulcan and Harrier aircraft in Lincolnshire and West Germany respectively. Commissioned in 1983 he has since enjoyed a full and diverse career in the administrative branch of the RAF dealing with recruitment, property management, HR management, personnel policy and, latterly, training. 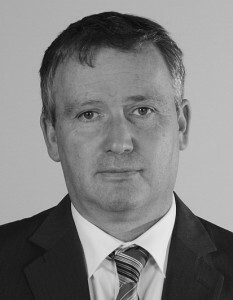 Immediately prior to his current appointment, he ran the Equality and Diversity Training Centre for the Joint Services and specialised in importing accelerated learning techniques to the course material in order to make it more engaging, memorable and more accessible to the students. 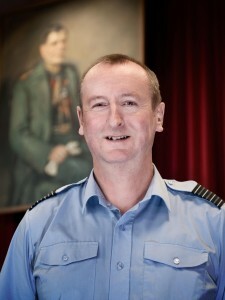 His current post is as OC Generic Education and Training centre at Cranwell, overseeing the introduction of the new Professional Military Development (Air) programme, which for the first time will provide a coherent through career delivery of generic education and training to Royal Air Force personnel in order to enhance their agility and better understand the wider aspects of their Service. Phil Sagar is married to Karen, they have 3 young children, and live in a small village on the banks of the River Avon near Tewkesbury. He is currently undertaking a part-time MA in Leadership Studies with Exeter University. He lists sailing, playing the electric violin and church bell ringing as his hobbies. Police Chief Superintendent and special officer in the Interior Ministry of the Germany state of Baden-Württemberg. Since 1999 he has been the officer responsible for the departments POLIZEI-ONLINE and MEPA-ONLINE.